What is a pure aluminum sheet? Aluminum sheet, as its name implies, is made of aluminum or aluminum alloy material. Or it is the type of aluminum products by flat aluminum embryo through heating, rolling and straightening or solution and aging process made. The lowest aluminum content of the pure aluminum sheet shall be determined by the final number of the series code of the aluminum sheet, for example, the last two number of the 1050 series are 50. According to the world standard, the aluminum content must reach the 99.5%, and then it can be called the qualified product. The technology standard of the aluminum alloy in (gB/T3880-2006)also clearly stipulate the aluminum content must be over 99.5%, and it is the same to the other series of the aluminum sheet. There are many advantages in the pure aluminum, first, it can be strengthened, the strength can be increased through the cold processing, and the element of Mg, Zn, Cu, MN and SI-L can all be added to it and make the alloy, and the strength will be increased through the hot conduction. The strength of it can be comparable with the high quality alloy. The density of the pure aluminum sheet is small, the density of it is near 2700 kg /m3, and it is the 35%of the density of the iron. Besides, it is anti-corrosion, the surface of the aluminum and its alloy is easy to form a film on the surface, and it is the A 1203 protection film, and this protection film will be destroyed only with the strong action of the alkali ion, so it can bear the influence of the air. RE: What is a pure aluminum sheet? Over the past hundred years, pure aluminium sheet and aluminum alloy sheet have been widely used in many fields, such as industry and agriculture, aviation, aerospace, national defense industry, and even people's daily life. The output of pure aluminium sheet is the leading one in nonferrous metals, second only to steel output. pure aluminium sheet has been used widely, but there are rich (about 8.2% of the mass of the crust, is the most widely distributed metal elements in the earth), smelting is simple, more important is the pure aluminum has a series of excellent properties. - low density pure aluminium sheet density close to 2700KG/M about the density of iron fand, 35%. - the strength of the pure aluminium sheet , though not high, can be increased by more than double by cold working. Moreover, the alloy can be strengthened by adding elements such as magnesium, zinc, copper, manganese, silicon, lithium and scandium, and then further strengthened by heat treatment, and the strength of the alloy can be compared with that of the high-quality alloy steel. Easy to process aluminum can be cast in any form of casting. 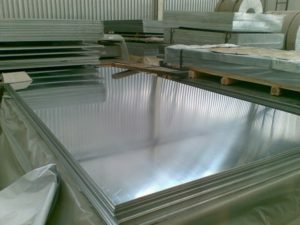 pure aluminium sheet is good in plasticity and can be rolled into sheets and foils. It is drawn into tubes and filaments. It is extruded into various kinds of civil profiles; it can be machined at the maximum speed that most machine tools can achieve, such as milling, milling, boring, planing and so on. - corrosion resistant pure aluminium sheet and its alloy surface, easy to generate a dense, solid AL2O3 protective film. This protective film is only destroyed by the intense action of halogen ions or alkali ions. Therefore, pure aluminium sheet has a very good atmosphere (including industrial, atmospheric, and oceanic atmospheres), corrosion and water corrosion. Corrosion can resist acid and most organic compounds, the corrosion inhibitor, corrosion resistant alkali liquid; the protection measures, can improve the corrosion resistance of Aluminum Alloy. Conductivity and heat conductivity are good. Aluminum conducts electricity and heat conductivity only after silver, copper and gold. At room temperature, the equal volume conductivity of electrical aluminum can reach 62%IACS, and its conductivity is twice as much as that of copper if calculated according to the unit mass conductivity. The reflectivity of the polishing table with reflective pure aluminium sheet is more than 80%, and the higher the purity, the higher the reflectivity. At the same time, aluminum has good reflectivity to infrared ray, ultraviolet ray, electromagnetic wave and heat radiation. No magnetism, no shock, no sparks. This is very valuable for some special purposes, such as instrument materials, shielding materials for electrical equipment, flammable and explosive materials, production equipment, etc.. It has sound absorption and is good for interior decoration. It can also be made into damping alloy. - nuclear radiation pure aluminium sheet has a neutron absorption cross section equal to that of other metals for high-energy neutrons, and has a small cross section for neutrons in the low energy range, second only to beryllium, magnesium, zirconium and other metals. The greatest advantage of aluminum resistance to radiation is the rapid decay of the induced radiation produced by irradiation. Beautiful pure aluminium sheet and its alloy because of reflective ability, the surface of silver white luster. After machining, it can achieve a high degree of finish and brightness. If anodizing and coloring, not only can improve corrosion resistance, but also can obtain colorful, dazzling products. Aluminum is also an excellent base for the manufacture of paint materials.